Dakota Willink is a contemporary romance writer and editor, and the author of The Stone Series. She is an associate member of Romance Writers of America and a two time Readers’ Favorite International Book Awards winner. Dakota has always had a passion for reading and writing. From the time she was an adolescent, she enjoyed curling up with a good paperback, reading genres that ranged from thriller and fantasy, to mystery and romance. She always dreamed of one day writing her own book, but had put her aspirations on hold to focus on her family and a career that would pay the bills. However, her heart continued to be with fictional characters – whether they belonged to a favorite author or if they were just stories that she made up in her own head. In 2013, Dakota gathered enough courage to turn her dreams into a reality. In between playing chauffeur to two very busy children and working her job during the day, Dakota began to put words on paper. Eventually, she began to describe her life as a book. Everything she saw or heard throughout the day, intertwined with her imagination for the creation of future writings. By 2014, with the support of her husband and two children, she gave up the security of a steady paycheck and began working on her first novel full time. Her first novel, Heart of Stone, was published in December of 2015. 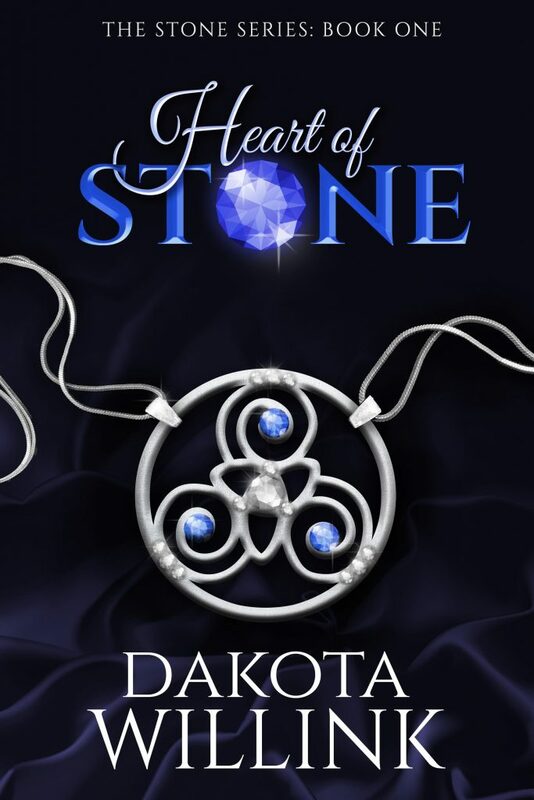 Less than a year after its release, the Readers’ Favorite International Book Awards recognized Heart of Stone as the 2016 Bronze Medalist in the romance category. In September of 2017, Readers’ Favorite announced Stepping Stone as the Gold Medal winner in the Contemporary Romance category. Dakota resides in the Western New York area, where she enjoys spending time with family, her two Labrador Retrievers, and her spoiled rotten cat. During the summer months, she can often be found soaking up the sun on the Great Lakes with her family.